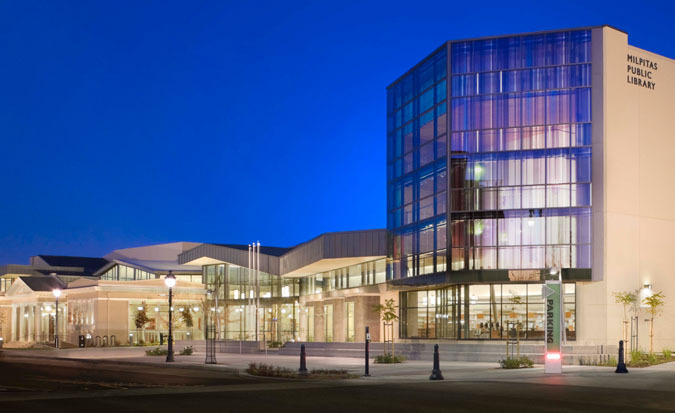 The new Milpitas Library is the largest and most used library in the Santa Clara Library system with over 2-million check-outs per year. 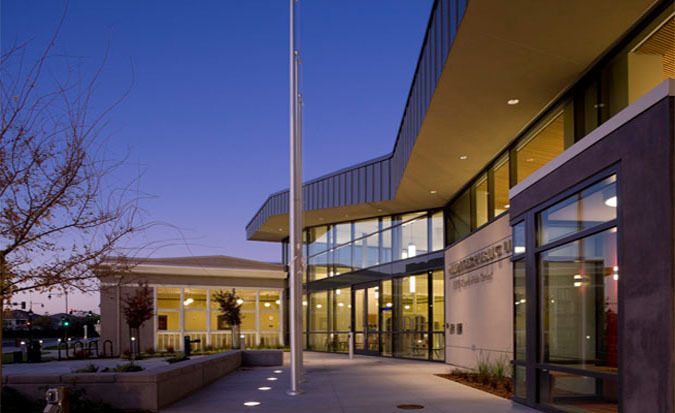 The project incorporated a restored 1915 Milpitas Grammar School – a registered historical building – that will house a multi-purpose room, study space, and computer labs. 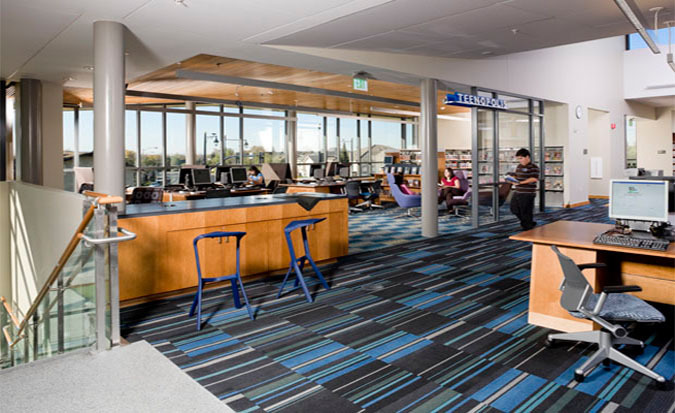 The existing school building is bookended by two new buildings, featuring book stacks, a homework center, a local history area, and a Friends of the Library store. 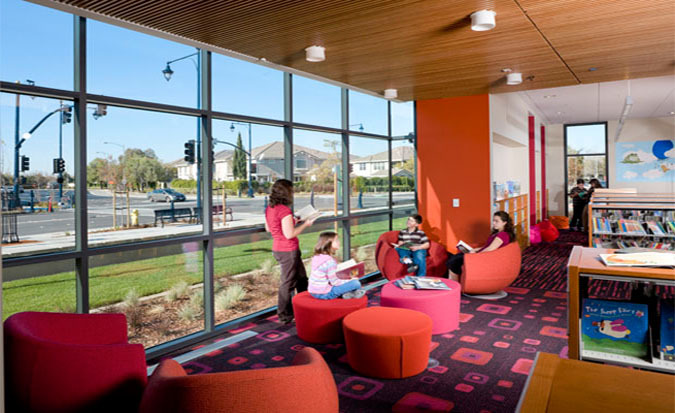 The multi-purpose room also doubles as a theater. 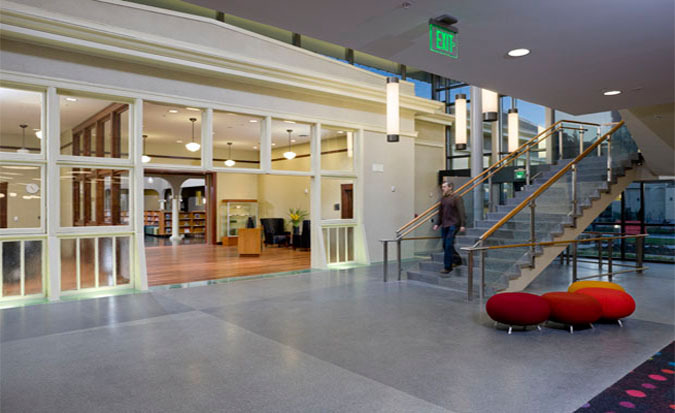 Sustainable design features include a radiant heating system and an underfloor air distribution system. 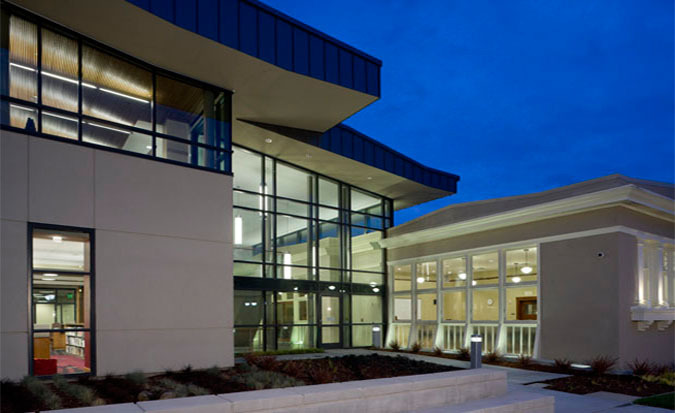 The tower at the Southwest corner of the facility serves as a beacon to the community; in order to handle potentially adverse impacts on comfort and expansion of the window wall system, a natural ventilation strategy employing stack effect was employed; this strategy along with the underfloor air delivery system maintained comfort conditions in the occupied space and effectively reduced temperatures at the top of the tower to 90 degrees F which the window wall system was designed to accommodate.